With the revolutionary new Mushroom Substrate Design Calculator now available, the days are gone where other people or companies can take control of your business by the withholding of crucial information. As you know have realised, if you don’t understand substrate design, either somebody else controls your business or you don’t have a profitable business. To get maximum use of the Mushroom Substrate Design Calculator, we have compiled the Mushroom Business Design Guide which will explain the value of the calculator with examples and substrate formulations applicable to various mushroom species. Additional emphasis will be on the know-how to structure or design your mushroom business in such a manner that you can operate at optimum levels for maximum profitability. 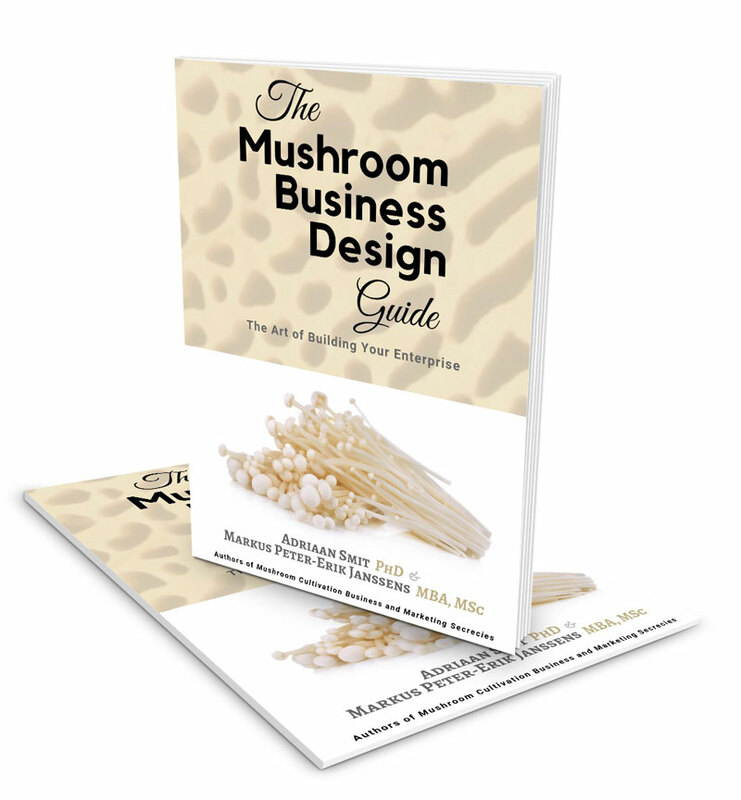 If you have either very recently completed the Commercial Course at the South African Gourmet Mushroom Academy where we provide the Mushroom Substrate Design Calculator as part of the course fee or received the calculator for trial testing, you might just be interested in purchasing the Mushroom Business Design Guide. Orders open on the 1st of January 2019. The rate listed is the discounted student rate, which is applicable to student orders up to 1 December 2019. The Mushroom Substrate Design Calculator is NOT for sale separately, so if you don’t have the calculator, please order the Student Combo (Calculator + Guide) instead of buying the Mushroom Business Design Guide on its own.